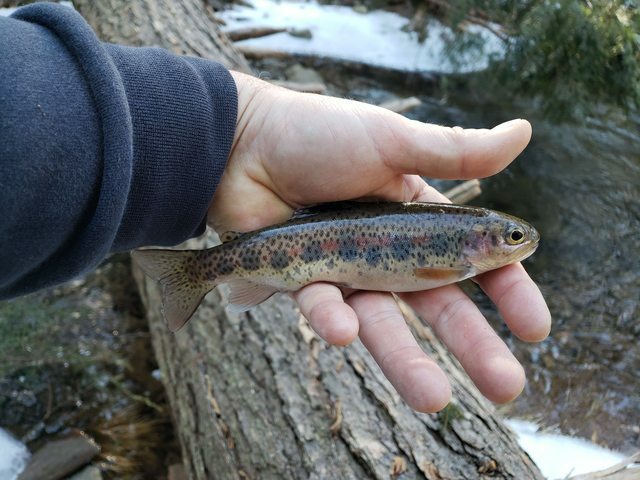 A place to discuss trout fishing in New Jersey and more! I figured with the rain we got last week the local rivers would be running high and stained so on Saturday I decided to hit a small wild trout stream instead. I was rewarded with a few rainbows and brookies. All of them we caught on a size 20 Zebra midge and we released. Nice pics, you did well. Thanks! Caught them on a size 20 midge, eh? Beautiful fish, but I think you're a bit shy of the 20/20 club I usually don't use smaller than a size 16--just can't see the hook eye, and the magnifying glasses don't help me much. They all look fat and healthy which is always a great sign in winter. I know the feeling, I have to bring a pair of magnifying glasses with me or it would be impossible to tie on! 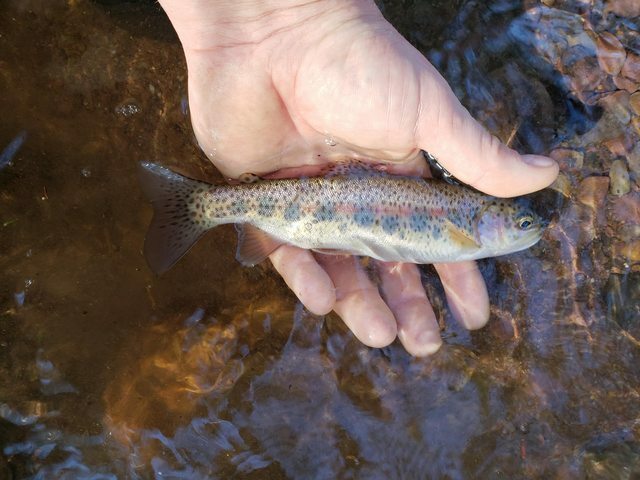 All the trout I catch in that stream especially the rainbows are all on the chunky side for their size. Here is another from a previous trip. Lots of bugs in that stream! They do look nice and fat and healthy.